The National Bank of Pakistan’s former president, Saeed Ahmad, challenged his suspension in the Islamabad High Court on Thursday. “I was informed about my suspension via a WhatsApp message at 1:30am,” Ahmad told SAMAA Digital while confirming that he has challenged the suspension. The former central banker said legal procedures were not followed in his suspension orders and that he was not involved in any corruption case. In a petition filed before the IHC, Ahmad’s lawyer Faiz Rasool said his client never violated any rules or regulations during his tenure nor had he faced any departmental inquiries. The government didn’t frame any charges against him nor was he issued a show cause notice before he was suspended. Rasool requested the IHC to declare the finance secretary’s August 28 notification illegal and allow his client to immediately resume his post as the bank’s president and continue till January 1, 2019, the last day of his term. 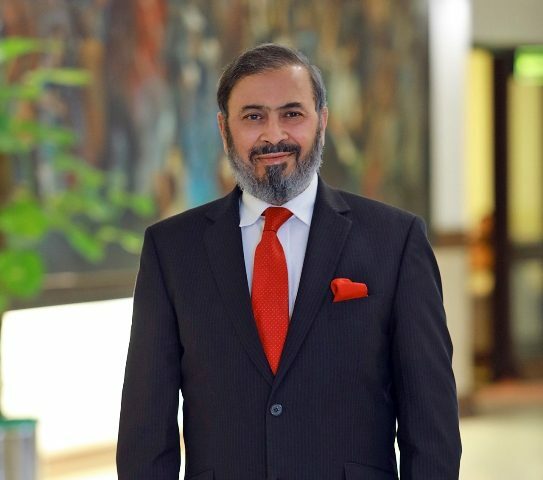 Former prime minister Nawaz Sharif appointed Ahmad as the president of the NBP in March, 2017 when he was working as deputy director of the State Bank of Pakistan. NAB had exonerated Ahmad in a money laundering case but asked the finance ministry whether he could influence the ongoing investigation against former finance minister Ishaq Dar in a money laundering case.